Some say that measure of a person’s life is the impact they have on others’ lives. If this is true, then my Mom’s life was a tremendous success. She touched the lives of thousands of students over the years. As a mother, she impacted all of our lives with her strength, passion, drive and compassion. Mom was strong, decisive, feisty, witty, intelligent, resilient, and driven to accomplish things. I remember lots of “to do” lists, and her crossing off the tasks as she completed them. Mom was a teacher through and through. Not only was it her chosen career, but she used that skill and force in personal life as well. She was a problem solver. If you were her friend or a family member, she would always be there to tell you how to solve your problem. Even if you didn’t know you had a problem. When I was in 9th grade, my Mom helped me write a book report for English class. When I got the paper back with a 90 and I was pleased to show her. She was not happy at all, but not with me, with my teacher. She had purposely not corrected it and had some choice words about his competence. I remember when Mom taught me how to make her delicious Lasagna. I was anticipating this “old Italian” recipe, passed down from her great-grandmother all the way down to her. When we started, she had me take the box of noodles out, and told me to turn the box over and follow the recipe. Of course she helped me that first time, but she explained that those were the best recipes because companies would only put the good ones on the box. She was right, again. 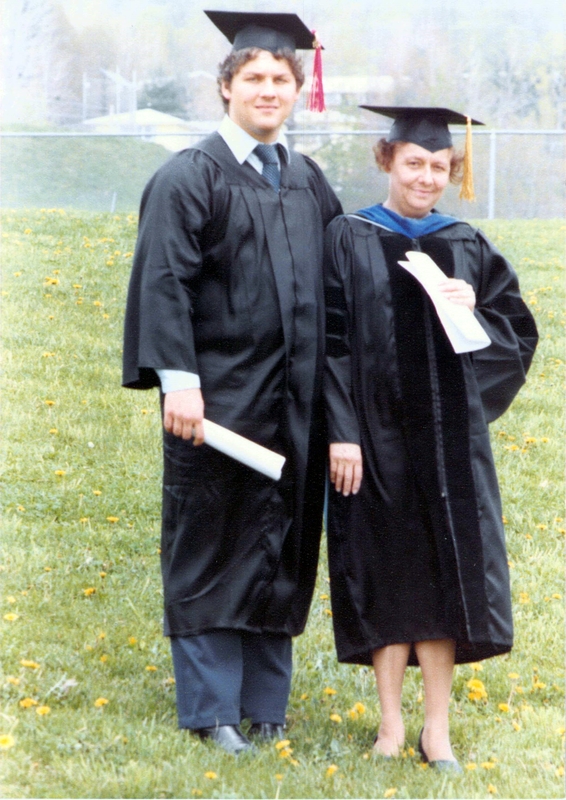 When I was at SUNY-Oneonta as a student, I heard many students rave about how great a teacher she was. I had the pleasure of taking her for two classes then. Watching her teach was mesmerizing. After about 2 minutes I totally forgot that she was mother. She was dynamic and demanded and received your complete attention. The first time I took her for a class (pass/fail, of course) we had taken our first test. Mom liked to give tests with more than 100 points on them. So everyone was having a tough time figuring out their grade. A student asked, “Dr. Iversen are you going to curve the test?”. She explained that at the end of the semester, she would take the total points that you had and the total available points if you had got everything correct, and the top 5% would get A’s, 10 % B’s, and etc. down the line. Then another student asked them same question, she repeated the same answer. I knew that math was never her strong point, so I raised my hand and said “Actually Dr. Iversen, it is a curve but you don’t know it”. She responded with “Are you telling me I don’t know what the F#$&@ I am doing?” I said “sort of”. She responded quickly by turning to the class and saying “With a little birth control, I could have avoided all this”. Needless to say, the class gasped and roared and I shut up. I was disrupting her class and she shut me up without hesitation. I am so proud to be her son. She taught me so much. How to stand up for your opinion, even if it was not a popular one. She taught me not to quit, and she taught me to admire and respect strong women. She was a great mom and a first class human being. I will miss her, but never forget her.